Breakfast at hotel. Start driving to Agra (200km/04 hrs], on route visit Deeg, Mathura and Sikandra, mausoleum of Emperor Akbar built in 1492, The Tomb is combination of Muslims and Hindu Architectural styles. After visit continue to drive to Agra, on arrival transfer to hotel. Check in your hotel, rest of the day at leisure. Overnight at Hotel. Early morning visit Taj Mahal with rising sun. Taj Mahal, the architectural modern day wonder of the world; this monument is a fine example of the fusion of many architectural styles is one of the wonders of the modern world. Taj, endowed it with some of the loveliest buildings in the world. The tour continues with a visit to the Agra Fort from where one can get the most moving view of the Taj from the little octagonal tower in the Agra Fort which lies across the river Jamuna, followed by visit to Pearl Mosque and the Tomb of Itamad-ud-Daula built by Empress Noorjehan in memory of her father. In the evening you may visit to the souvenirs market of Agra, one should visit Oswal Emporium where they have built a Mini Taj Mahal inside their showroom and it took 10 years for the artists to complete the mini replica of the Taj. The show room conducts free sound & light show showing the eras of Taj Mahal. Overnight in Agra. Samode, on the outskirts of Shekhawati, is situated in the royal Indian State of Rajasthan. 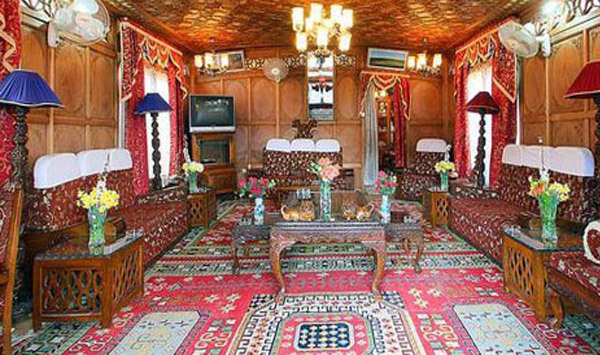 The small village itself is a centre for block printing and lacquered bangle making is also famous for forts and palaces. Built in the 19th century, Samode was one of the princely place of Jaipur. Samode is famous for Samode Palace and Samode Bagh, the Nathawats of Samode played an important role in the durbar of Jaipur. Samode is an ideal desert gateway. During the day a camel ride through the Samode village and the surroundings countryside is a good side. Morning drive to Jaisalmer Jaisalmer is an important destination of the western state of India, Rajasthan. A desert city, it was founded by the Bhatti Rajput chieftain Rawal Jaisal in the year 1156. Jaisalmer could be regarded as the western sentinel of entire India and a place worth visiting to get an idea of the native Rajasthan. Located at the heart of the great Thar Desert, it offers the visitor an enchanting world of fable, colour, and history. Moreover, the magnificent wood-and stone-carved mansions and buildings display the love and interest Rajputs had for the fine arts. Rest of the day free for leisure. Overnight in Hotel. After breakfast at Hotel, visit Bishnoi village and continue drive to Udaipur on the route visit the beautiful Jain Temples of Ranakpur. After passing lush green valleys and streams and the heart capturing views drive away any fatigue of the journey. The Ranakpur Jain Temple was built during the reign of the liberal and gifted monarch Rana Kumbha in the 15th century. An enormous basement covers 48,000 sq. feet area. There are four subsidiary shrines, twenty four pillared halls and eligibly domes supported by over four hundred columns. The total number of columns is 1,444 all of which are intricately carved no two being alike. The artistically carved nymphs playing the flute in various dance postures at a height of 45 feet are an engrossing sight. In the assembly hall, there are two big bells weighing 108 kgs. Whose sound echoes in the entire complex? On arrival at Udaipur, check in at hotel. Rest of the day at leisure and you are free to experience the city by your own. Overnight at Hotel. After a leisurely breakfast, in the morning hours you are free to explore the Udaipur by your own, later drive to Airport for your connection flight to Delhi and on your arrival in Delhi, you will be transfer to International Airport before 3 hrs to scheduled flight and return back to your home.